When you buy a road bike, there are numerous considerations that you need to take into account. In addition to finding the right type of bike, you also need to make sure you select the correct bike frame size. Since the stakes are high, you need to ensure you’re asking the right questions. 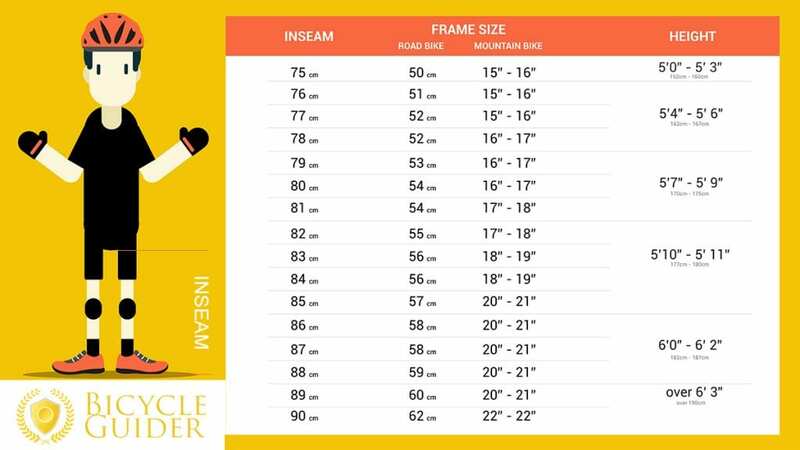 Our guide below includes information about how to size bike frames for adults and children and advice about whether you should factor gender and other factors into the sizing process. Start by matching your height to a bike frame size. Once you select your bike frame size, you’re stuck with whatever choice you made. Even though you can swap out components, you either have to sell or get rid of your bike if you chose the wrong frame size. If your frame size is incorrect and you make due with an incorrectly sized frame, you might injure yourself. In some cases, knee or back injuries can develop or worsen; especially in cases where risk factors are high. Some other symptoms that signal your frame size isn’t correct: lower back pain, elbow pain, neck pain, and knee pain can all be indicative of a poor fit (among other issues). Numbness is another problematic sign. Bike frame sizes are based on the height of the bike. 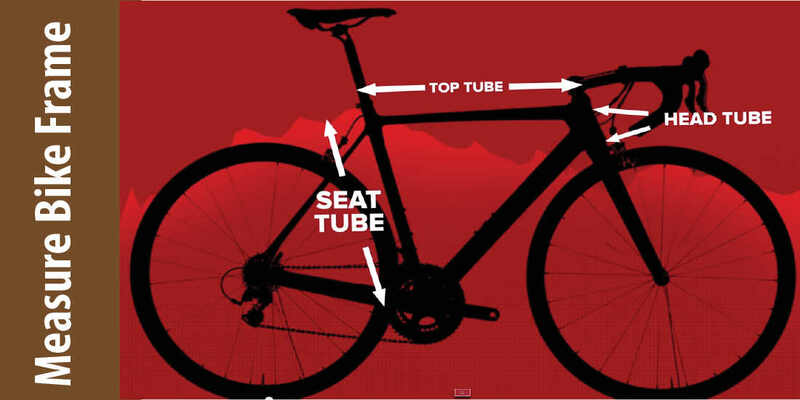 To ensure you have the correct height of the hike, measure the length of the seat post tube (see image above). This measurement is expressed in metric (cm) for road bikes, and imperial (inches) for mountain bikes. Leg inseam is the most common measurement you’ll see referenced as you work on picking the right bike frame size. 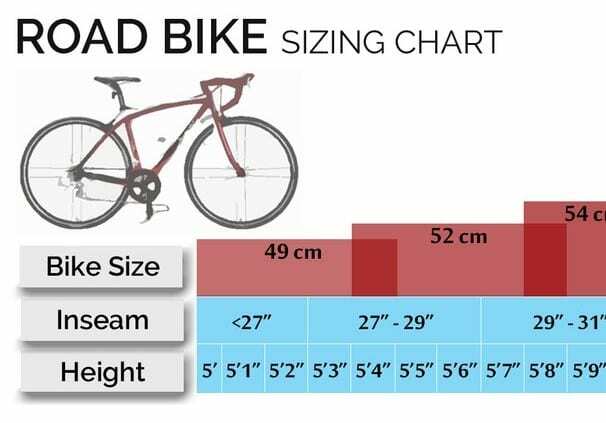 Many bike size charts also reference stand-over height. 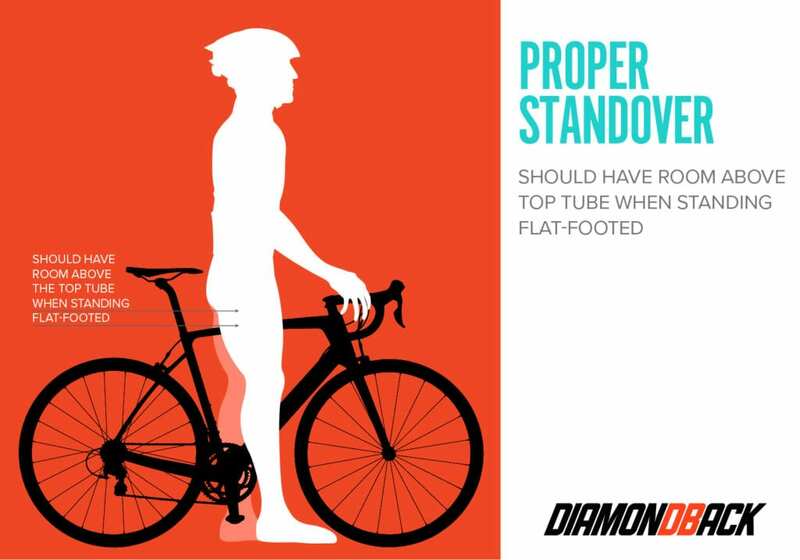 This measurement refers to your leg inseam plus another 1-2 inches for comfortable clearance of that top tube. Some sizing guides claim that road bikes need one to two inches of clearance while mountain or commuter bikes need two to four inches. (Add your torso length to your arm length, divide that by two, and subtract six). This will tell you in inches what the ideal distance would be between your seat and handlebars. If your bike is too small, your knees and back may start to hurt, and you won’t be able to use your leg power efficiently. Your arm length measurement becomes important if your height and inseam measurements put you in between sizes. In that case, use your arm measurement to decide. 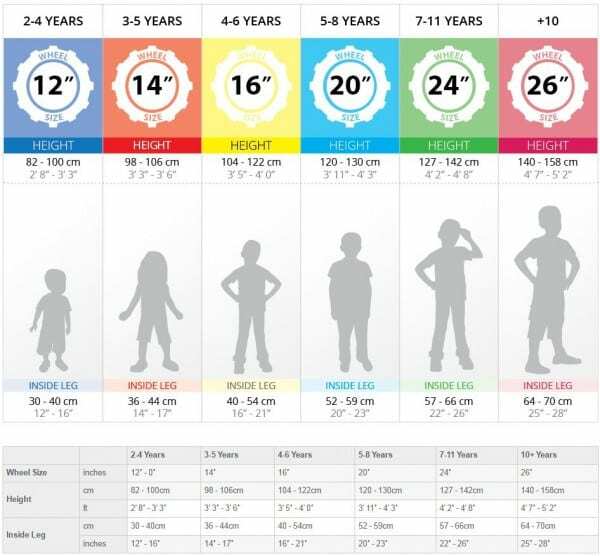 Don’t rely on n age range to pick a bike size for your child. There are tremendous variations based on individual differences. Just as with gender, age does not necessarily predict height. What if I purchased the wrong frame ? Give it time to get the feeling right. I remember when I got my first 29er mountain bike. It felt like a ship and seemed difficult to ride in narrow trails of the forest. Now I start laughing when I sit on a 26″ mountain bike because it looks so tiny. Should I buy a bike online? It’s the most obvious and overused advice out there, but it’s true: Seeing a bike in person, trying it out, and getting a feel for it is often the best way to know if it’s right for you. Many bicycle brands and bike shops offer demo days or demo events to allow customers to test ride bikes. It also helps to ask questions and speak to knowledgeable staff members. As an added bonus, you avoid the potential damage from shipping, and you won’t have to assemble anything yourself. How do I size my road bike tires? Looking for the right tire size can feel a little like navigating a minefield at times, but understanding the particulars can help you get things spot on for a much easier ride. On a road bike, tire sizes are described using dimensions. 25c is the width of the tire as you look down from a riding position. Generally speaking, wider tires provide a smoother ride as the volume of air in each tyre is larger. Tyre manufacturers now make lighter, faster tires that are wider to meet the needs of today’s riders. Several wheel manufacturers make wider 23mm or 25mm wide rims. These offer a high level of strength, performance and comfort when matched with wider 23mm/25mm tyres. Most road bikes will have enough clearance to fit 25mm-wide tires, which can offer a good amount of comfort for the rider. 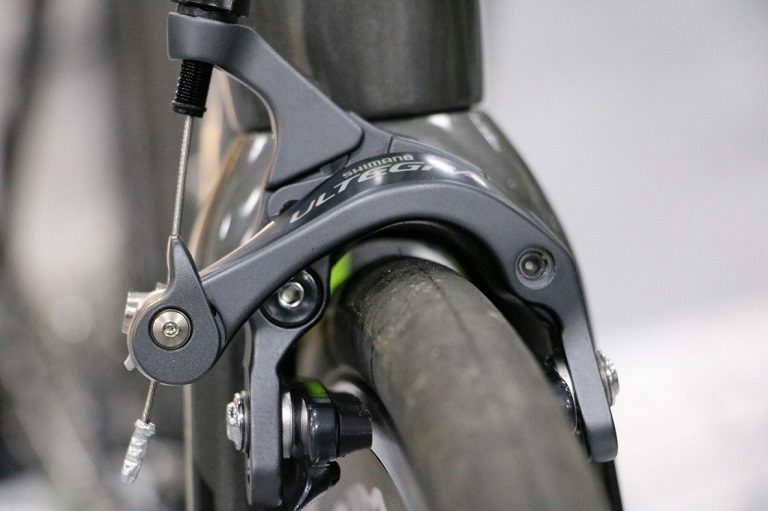 Newer disc-brake road, gravel and cyclocross bikes often have enough clearance for 35-38mm off-road tires to cope with more challenging surfaces, such as mud and gravel. 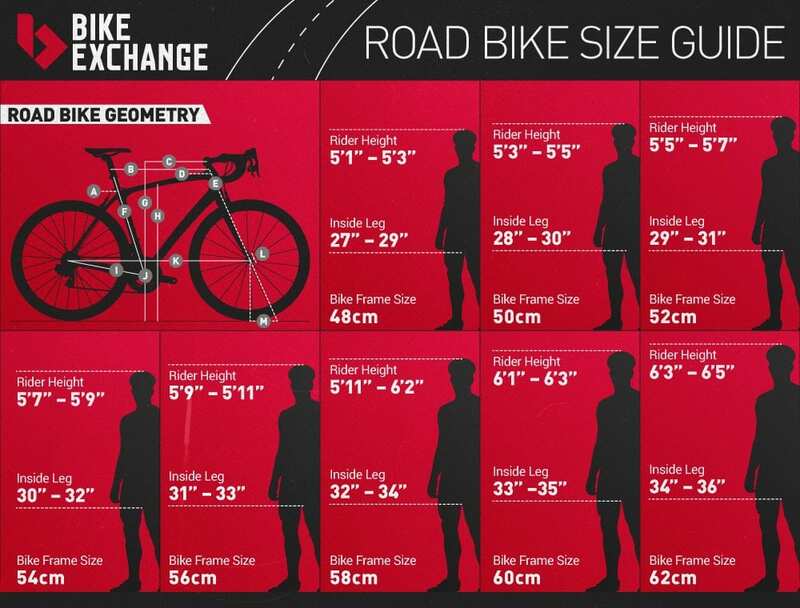 If you’d like additional information about sizing your bike, check out REI’s bike sizing guide. And check out our best bike rack guide if you’re wondering how you’re going to transport your newly purchased road bike.